Hi Altoon, Beautiful! 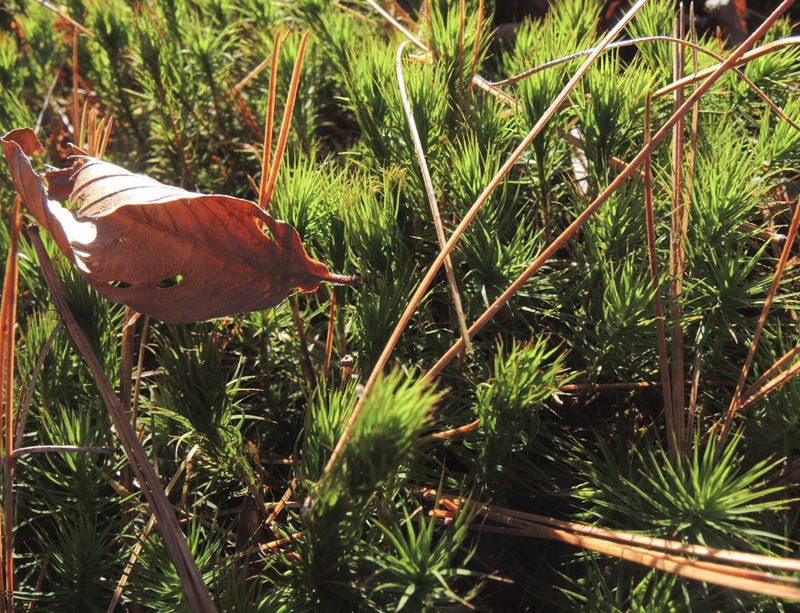 Mosses go to town after the leaves fall -- all that sunlight. 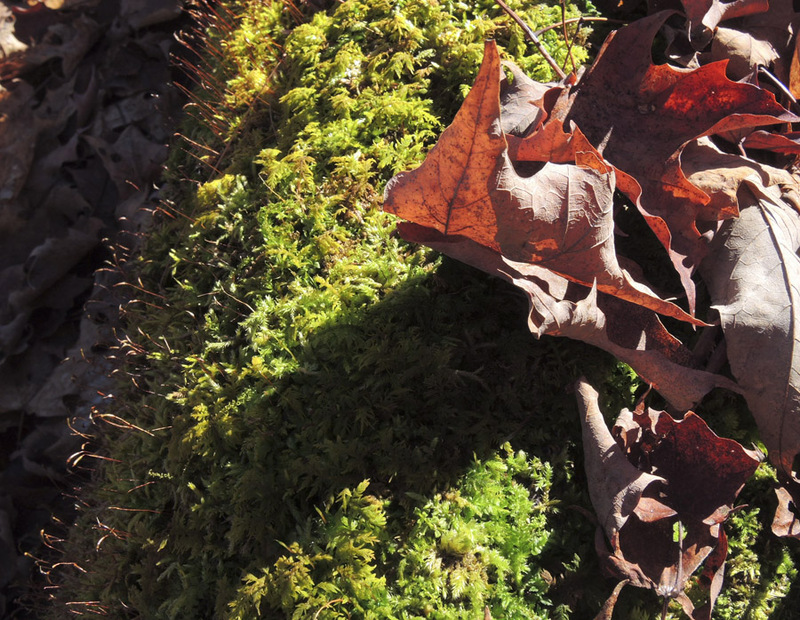 These are all mosses. 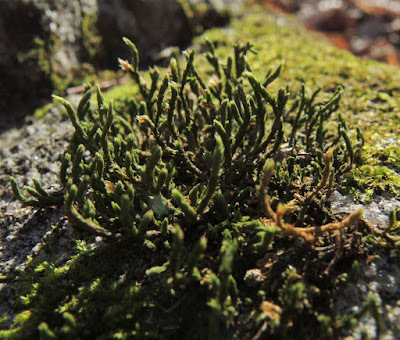 The third from last is a moss that probably looks quite different when it's wet - expanded -- could be Hedwigia ciliata. The next one is one of the Polystichums or Hair-cap Mosses, which get quite big and have something like a primitive vascular system, though the mosses are non-vascular. 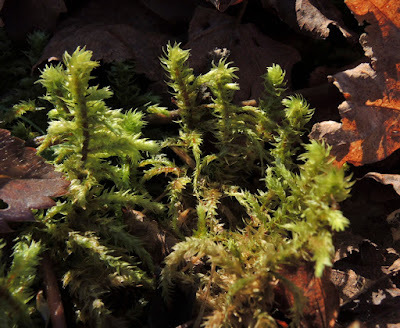 In England in a bog I saw some that were about four inches tall! Very dense and wet there. The last one is what some moss people call Teddy Bear Moss, Rhytidiadelphus triquetrus. 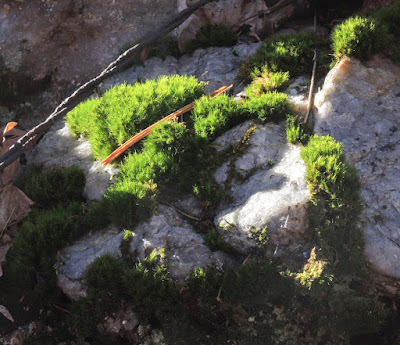 If you feel it, it has a lovely springy-scrunchy texture. I can hardly pass it without squeezing it. I love your forest floor posts! Ah, thank you so much for all this info. Those last two look so much like stems that I didn't think they could be true mosses. 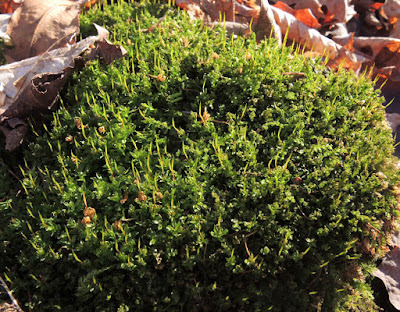 And Teddy Bear Moss....what a great name. There's a bunch of it growing in one spot, just where I come out of the woods. I'll squeeze it next time I go by. i think, Susan, that you mean Polytrichum and not Polystichum (which i think is a fern name). i see two different dicranums, thuidium and Plagiomnium..and yes, i think that is Hedwigia. ha! 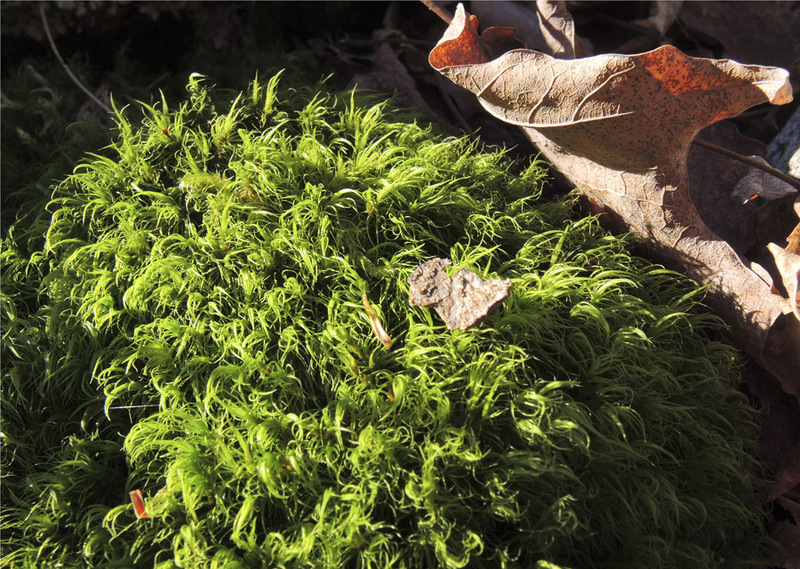 i hadn't heard the name teddy bear moss...i've also heard that one called pipecleaner moss. Full on moss geek thread here. Righteous. I think I need a walk in the woods immediately. 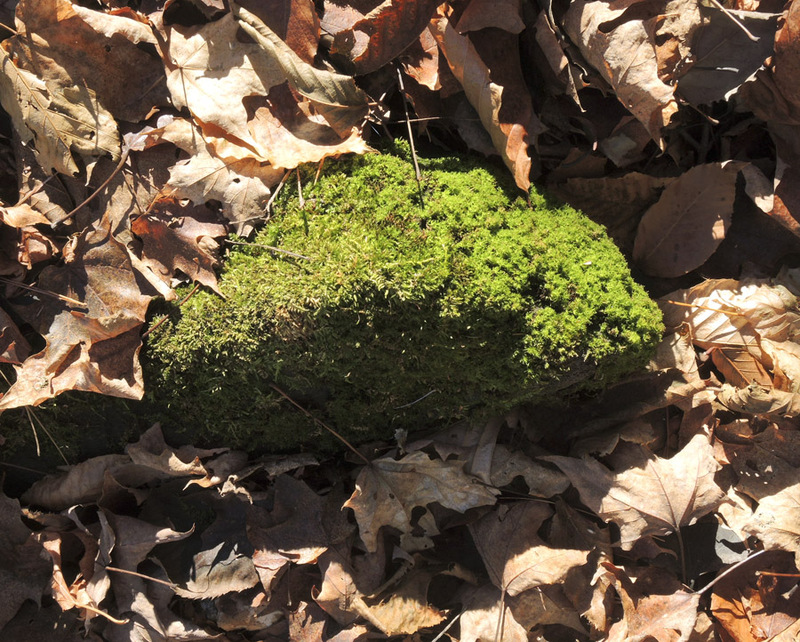 A walk in the woods always raises the spirits. 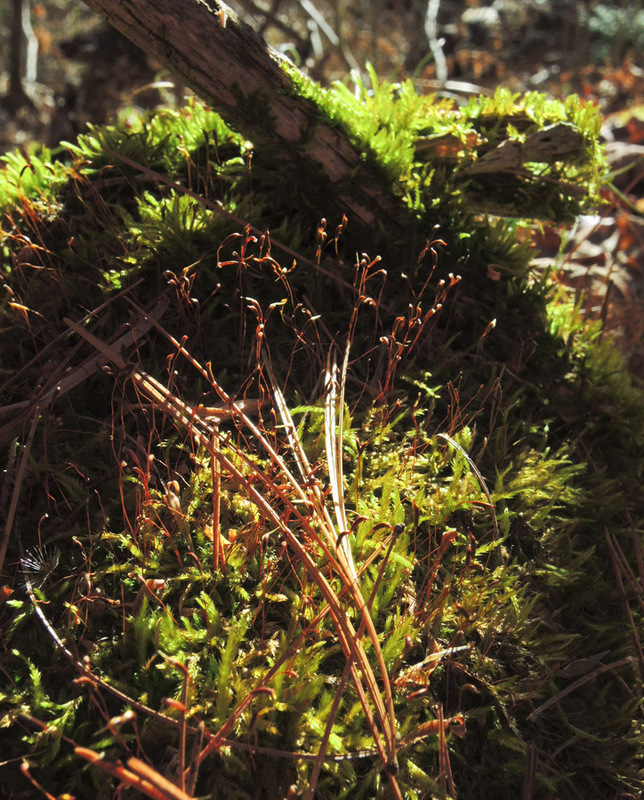 I have dreamed of a moss garden. I don't have the right habitat for them. I so enjoyed your photos. Thanks, Lisa. Mosses do need specific habitats, but maybe you can make a terrarium with mosses?